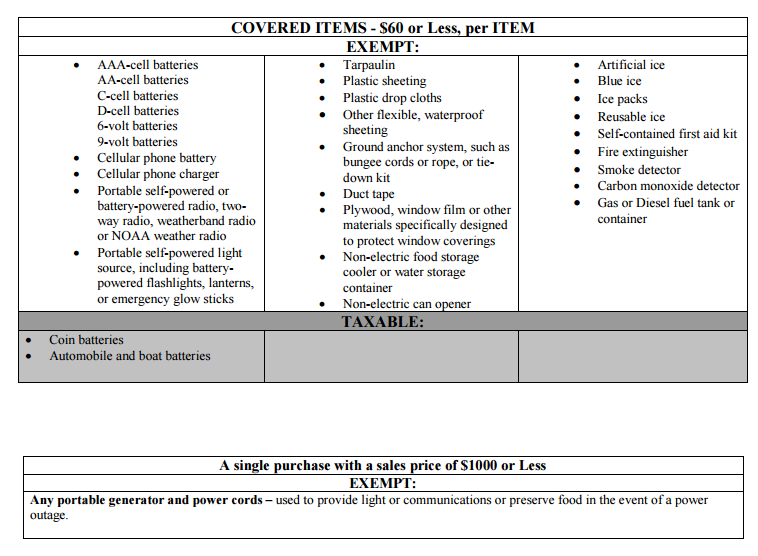 Beginning at 12am on Friday, February 26th, 2016, and ending at 12am on Sunday, February 28th, 2016, Alabama Severe Weather Preparedness Sales Tax Holiday 2016 will hold its fifth annual sales tax holiday giving shoppers the opportunity to purchase certain severe-weather preparedness supplies free of state sales or use tax. Local sales and use tax still may apply in some localities within Alabama. It’s important to note, some Alabama cities and localities will not be participating in the sales tax holiday. For a list of those places please click here. For more information you can contact the Alabama Department of Revenue by visiting their website.